Craftsman Easy-To-Read 1/4 in. x 1/4 in. 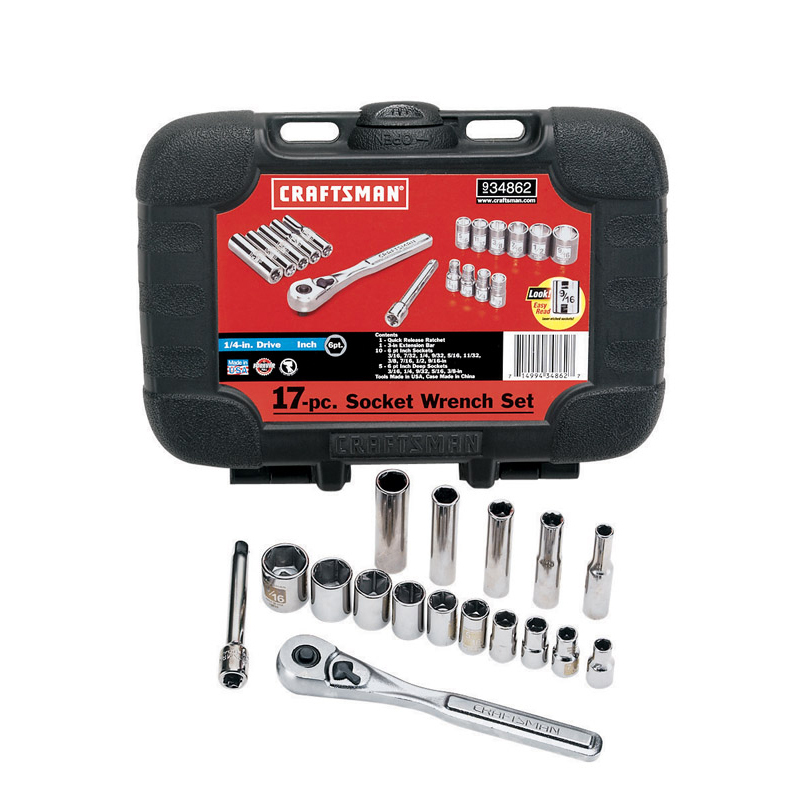 drive SAE 6 Point Socket Wrench Set 17 pc.